Today’s home builders are building hi-tech homes! These are not your mom & dad’s traditional stick built home from the 70’s with simple electrical, mechanical and plumbing systems. A LOT of the homes today are Energy Star Certified and/or LEED or Healthy Built Certified. These new systems require that the home inspector you are going to choose be fluent in the new technologies. 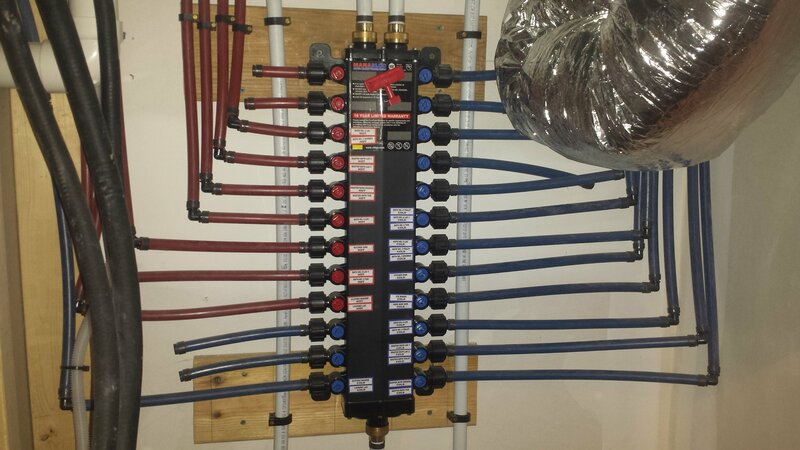 Take for example the picture of this plumbing manifold system for zoning and pressure equalization in this new residential structure recently inspected in Asheville, NC. While easy to inspect for proper operation it is imperative that the <a href=”https://www.mtsinspections.com/”>home inspector in Asheville</a> recognize the system for what it is and be able to accurately explain to his/her customer how to operate the manifold. At Mountains To Sea Inspections all our inspectors are licensed NC General Contractors as well who are active in the construction industry. This allows our inspectors to stay current on building technology and current code. We look forward to helping you make the most informed decision that you can when purchasing your next home. Call or contact us today to schedule an appointment.